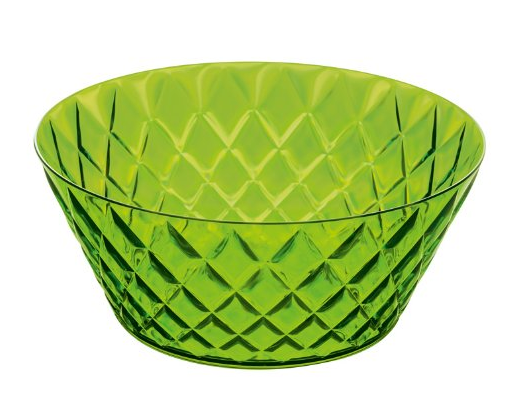 A beautiful transparent green salad bowl that creates charming reflections with its faceted design. So attractive, dinner guests won’t believe its made of plastic! Stackable and dishwasher safe.